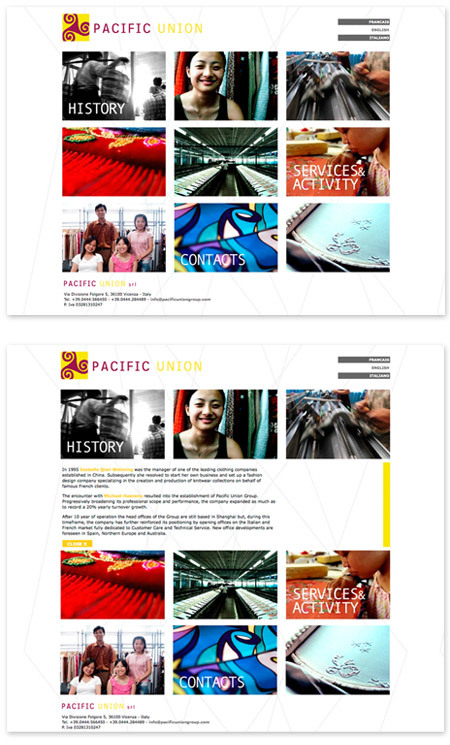 Total redesign of the Pacific Union Group site, whose first version dates back to several years ago. The new site is designed to be more streamlined and easier to view, almost a digital version of the paper brochure. The innovative aspect is that it grows on a single page you can view the information by clicking on panels that open and close. The site is available in three languages: Italian, English and French.